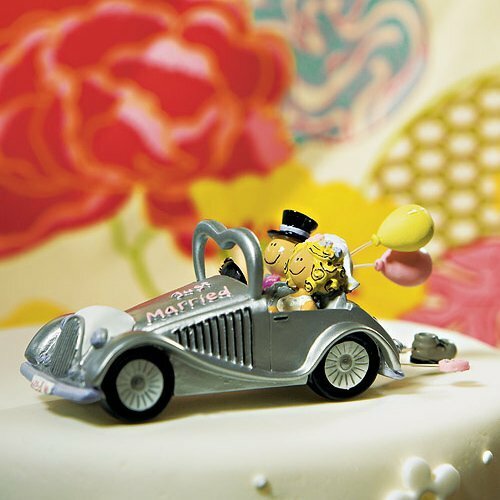 Get away! 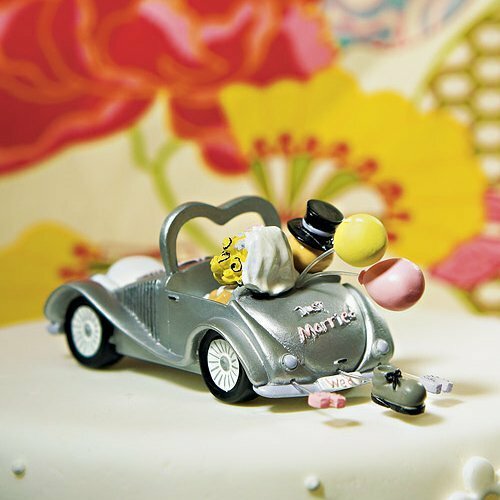 Zip off into the sunset with this festive "get-away car" cake topper. 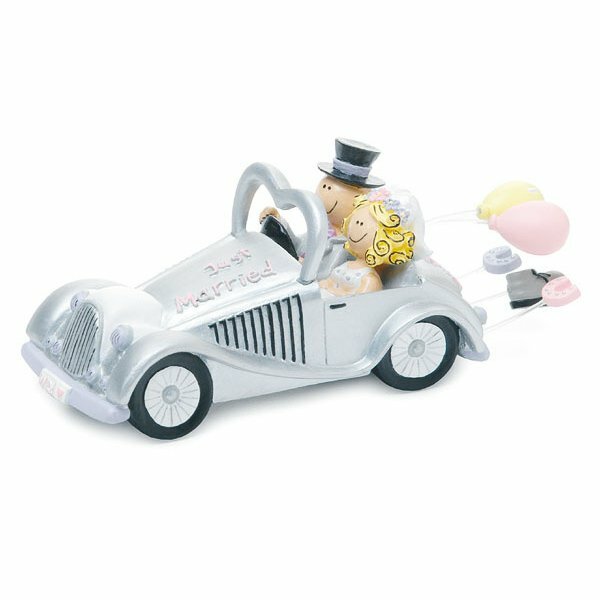 Featuring a classic, silver convertible roadster design, it says "Just Married" on the hood. 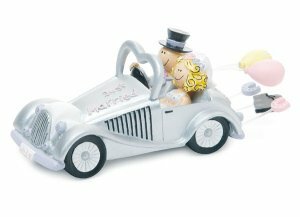 It is sure to impress your guests with details like the heart shaped windshield, the comical newlyweds inside and the trinkets attached to the rear bumper that are trailing behind the car. Approximate product dimensions - 5" long x 2" tall.